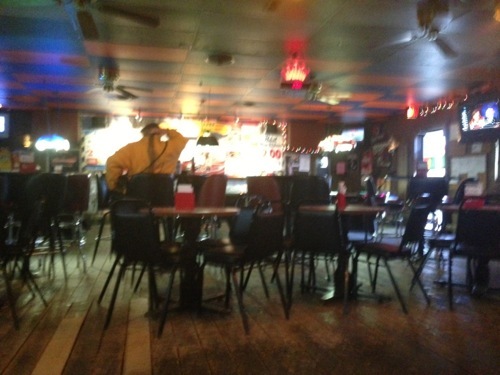 Scooter’s 979th bar, first visited in 2013. I picked this place out because of a Google review griping that this bar doesn’t cater to customers in their early 20s. 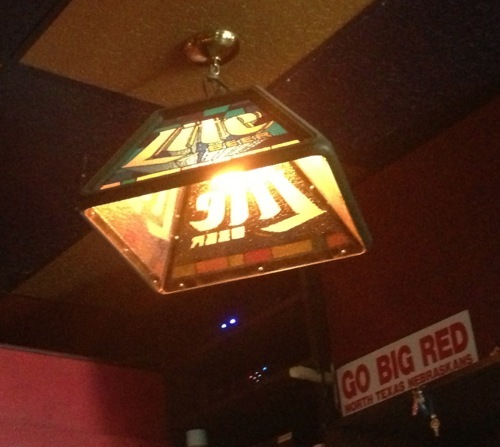 Which means this is the kind of bar I love. This does seem to be a bar more for grown-ups, but it looks like a fun bar nonetheless. 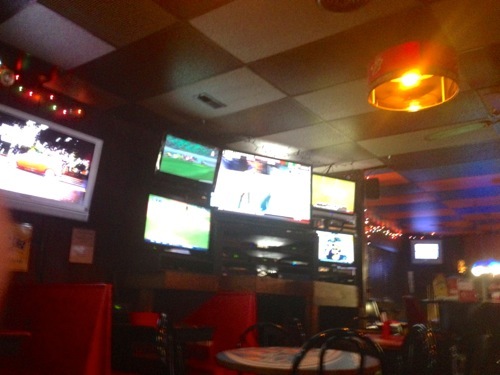 There’s 3 pool tables, lots of TVs, and a good sound system. 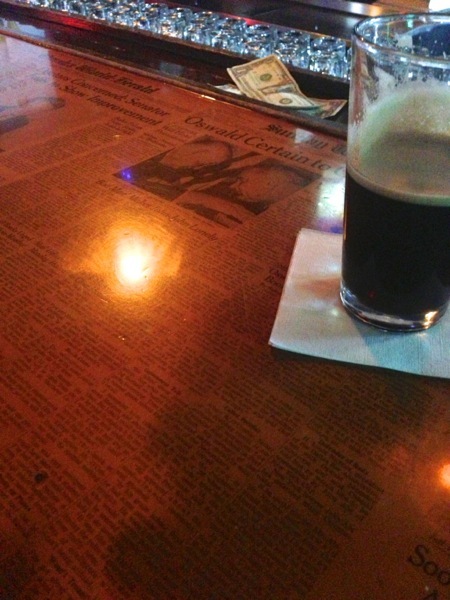 The convoluted bar, covered in vintage regional newspapers, resembles a crooked fish hook. They do not serve food, at least not regularly, though there was a BBQ grill out front and their Facebook page has mentioned food in the past. The bartender was really nice and the locals seem friendly. 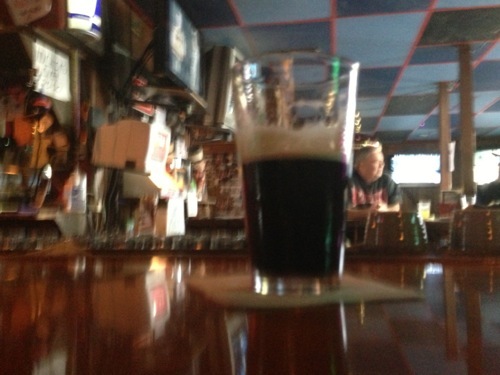 By the way this place has Guinness on tap, kind of unusual for a non-Irish-themed dive bar.